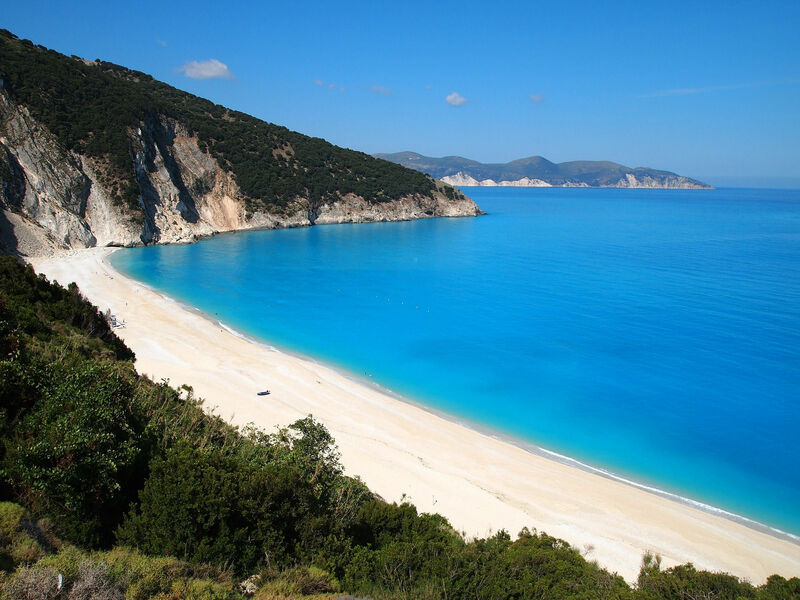 Myrtos Beach is Kefalonia's landmark. Found in the north of the island, this Blue Flag Beach has crystal clear waters and golden sand and is consistently included in the lists of best beaches in Greece, the Mediterranean and the world! 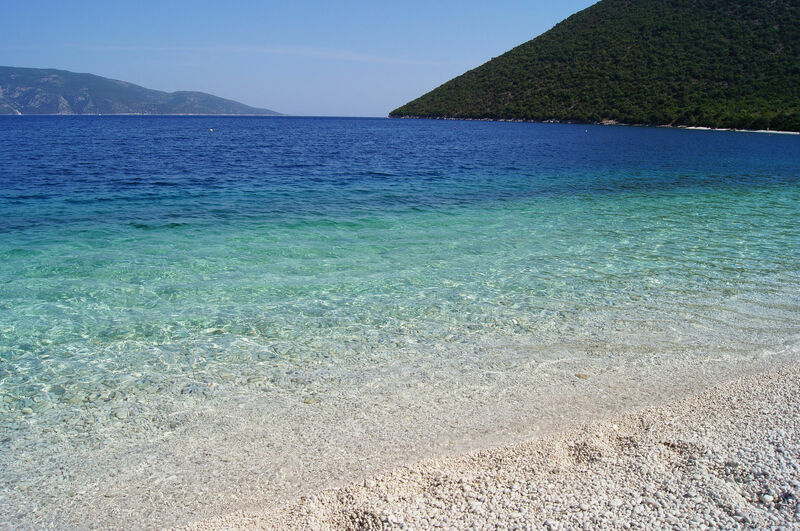 Myrtos Beach is well organized so is a great choice for anyone to enjoy swimming and sunbathing all day long. 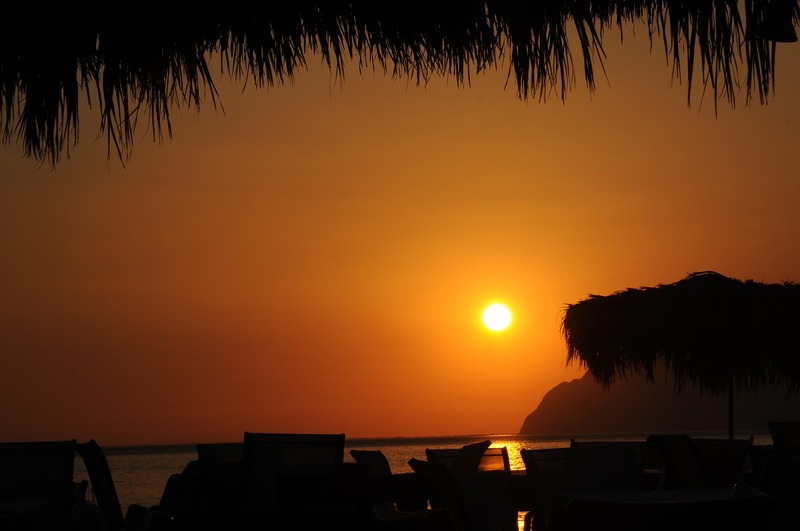 Our top tip: don’t leave before watching the sunset; it’s a unique experience! Xi or Ksi Beach is a little different from the other beaches of Kefalonia. What makes it so special is its composition, which gives the effect of dramatic reddish sand. As well as great views, it is known to locals as a free spa; the sand is said to have beneficial effects on the skin. It is just 8km from Lixouri and easily accessible. The shallow waters at this well organized beach make it a great choice for children, while a wealth of water sports will impress fitness fans. 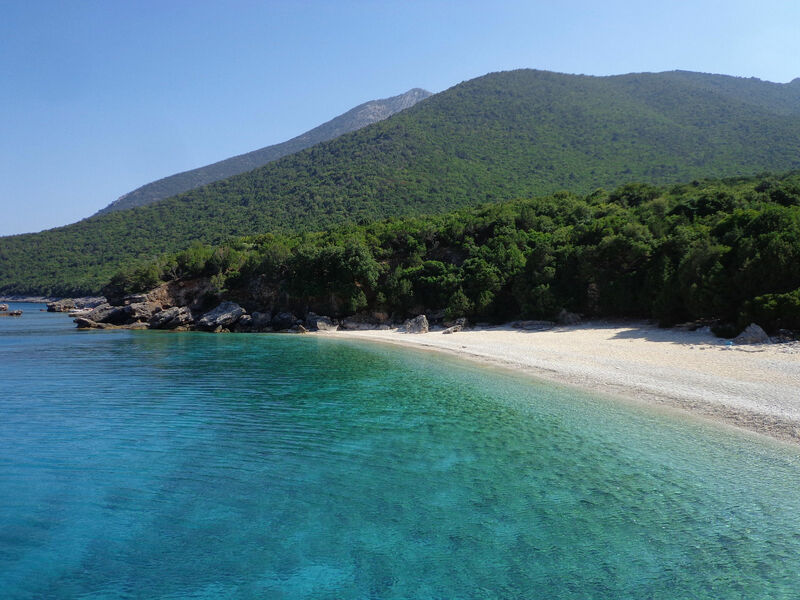 Skala Beach is well known for its crystal clear waters, its lush green surroundings and huge expanse of golden sand. It’s really well organized and makes a relaxing day out in the sun for families or couples. The nearby picturesque village of Skala makes a great stopping point on your way there. 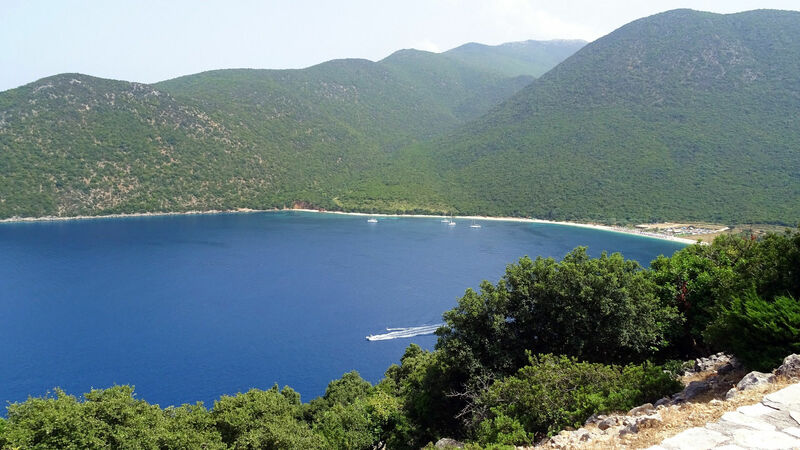 Antisamos Beach is another of Kefalonia’s Blue Flag beaches. A pebble beach, it’s just a few kilometers from the Port of Sami. It’s famous because the Hollywood production “Captain Corelli's Mandolin” was filmed right there on the beach. The beautiful landscape combines colors of blue and green sparkling waters and sun drenched sand. Dafnoudi Beach is a small beach that is tucked away in the northern part of Kefalonia, Antipata. The beach is a haven for monk seals Monachus Monachus - If you are lucky you may even come across one! 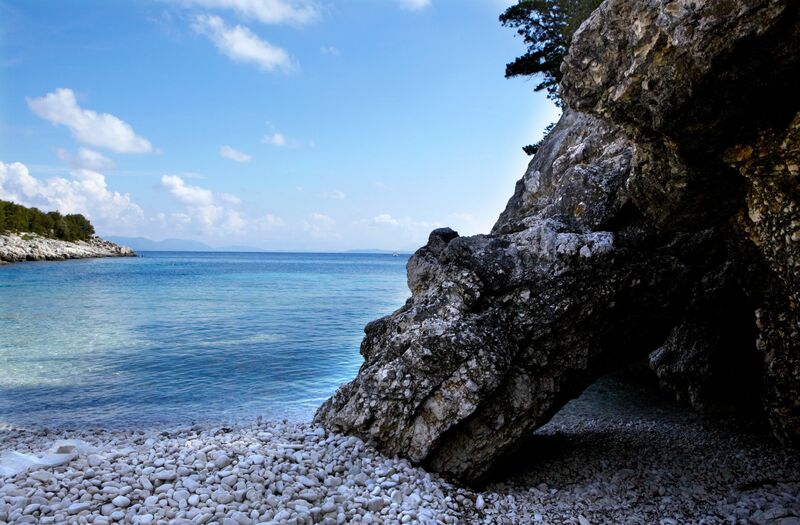 Calm waters, pebbles, blue and green colors and a cave with a small beach make it the ideal for romantic days out. Dafnoudi beach is where our hotel takes its name from!